A mix of demo and hands on workshop on sourdough bread and pastry making with a specific focus on heritage grains. Only a century ago Ireland had more than 2000 individual mills where grain was brought and milled at a local level. We now only have 15 industrial mills in the whole country most of which are working with mono crop wheat. Heritage grains are important for their genetic make up, their resilience and their flavour. There is a strong movement at the moment to bring back these varieties from seed banks but they generally do not have the same high gluten content that we are now used to in our flour and overall are more temperamental to work with. 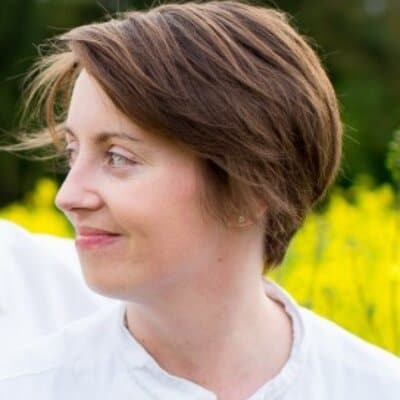 Louise Bannon has been dedicating the last twelve months to working directly with farmers who are reviving some of European heritage grains and she is testing these flours on a daily basis in her bread and pastry making. Louise Bannon is a former pastry chef at Noma Copenhagen and has recently been working alongside La Ferme a Naroque (France) and Birkemosegaard Biodynamic Farm (Copenhagen) in growing and milling heritage wheats. If you are a student, unemployed or recently retired we would like to offer you €20 off the price of this workshop. Simply input the discount code EI20 at the checkout. ID will be checked on the day.